Orogold succeeded in its plan! Mom felt suuuuper special on Mother's Day because of all the lovely gifts Orogold sent. Mom felt even more special because the felt that the items that were sent reflect her tastes well, given that Orogold itself has a very wide product range. 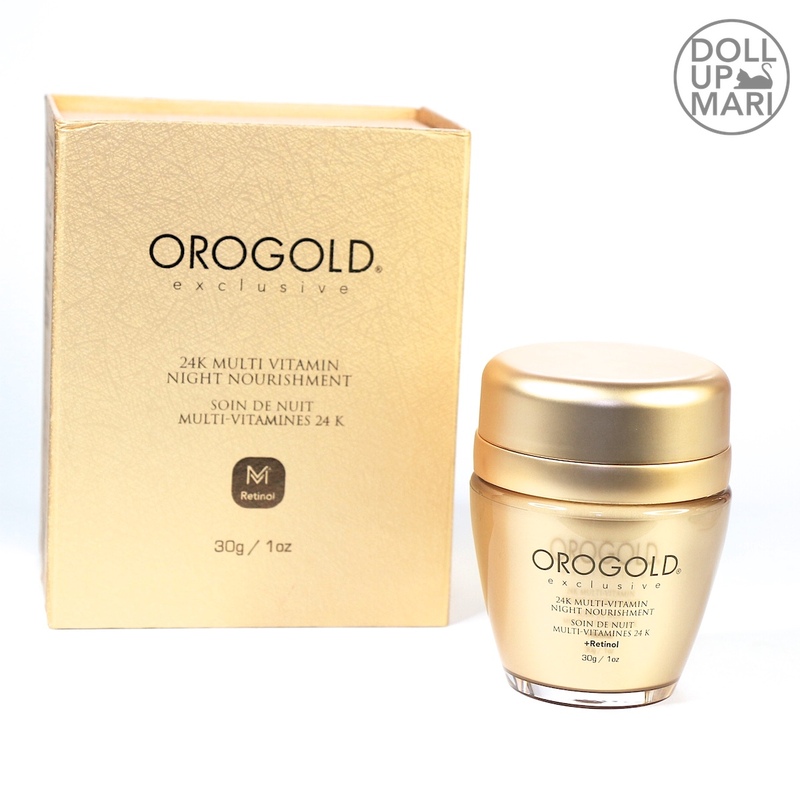 So yes, to those who are wondering, Orogold creates skincare products that have real gold infused in them. The products come with certificates certifying that there is indeed Italian gold infused into the product. I have received their Day Cream and their Peeling Gel from last year and I love both products because they give luxuriously velvety skin. This new lot of items should be interesting. So yaaaay, they sent their Orogold Exclusive 24K Multivitamin Night Nourishment (Php8,100). My mom has a very expansive supply of day creams thanks to all the products I've been getting, so this night cream is bound to be a lovely addition to her collection. This product is infused with Retinol, aloe vera, green tea, jojoba, and sunflower seed oil. I tried a liitttlle bit of this (only just a little coz I'm saving it for mom hahaha) and indeed it feels like a watering can for the skin. 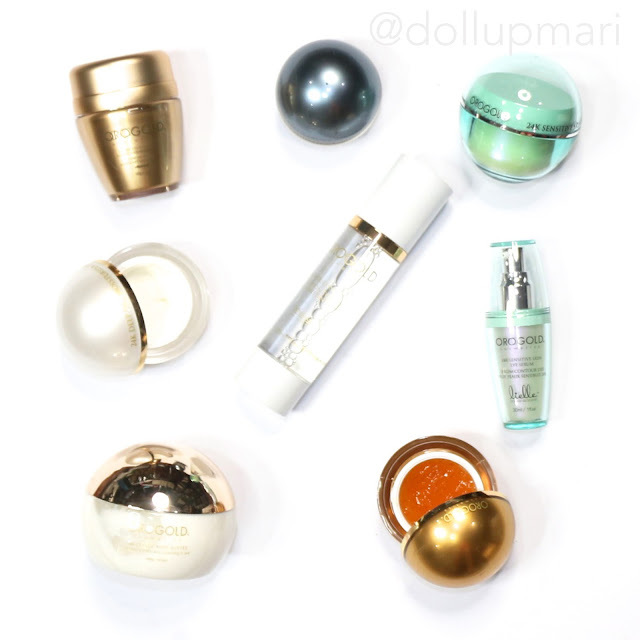 Skin immediately feels plumped up and hydrated, and by immediately, I mean within seconds. 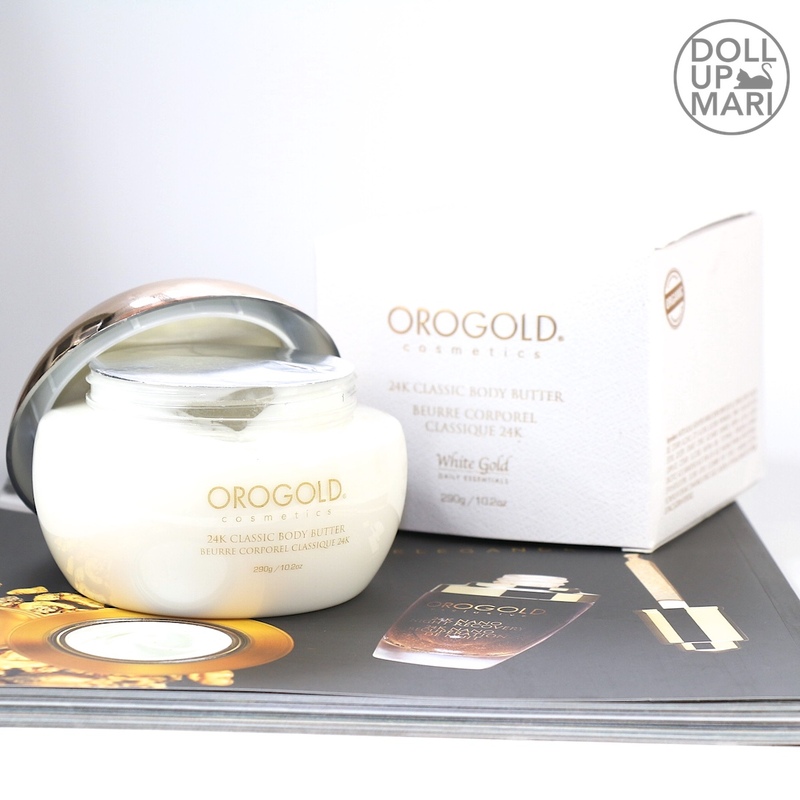 Mom is also going to love Orogold's 24K Classic Body Butter (Php3,100). My mom has very dry skin and suffers from eczema, which is why she always needs to have a steady supply of body moisturizing products in the house. She uses creams, lotions, and salt scrubs to keep her skin moisturized. She uses a lot of oils, too. She suffered from Vasculitis before and had plenty of skin problems, which is why in general her tastes lean toward the more clean and simple kinds like this. She is not into the heavily scented body creams I'm in to. This has sunflower, chamomile and marigold extracts. I hope mom doesn't have any allergies towards the 3 flowers. Let's hope for the best! Mom was very very excited to see this jar of 24K Sensitive Skin Hydrating Moisturizer (Php9,100) because when she gets skincare, it's often incidental from what I get. When something comes that is incidentally good for sensitive skin, then she can benefit. But usually, she's not able to use a lot of the products I receive because of her skin condtion. She was so flattered to receive something with her specific concern in mind. This is I think also very age appropriate for her, as this promises to help reduce the appearance of fine lines and wrinkles. This also promises to give the user velvety soft skin, and that it uses the most delicate ingredients so as not to irritate the skin. She was also super pleased about the 24K Sensitive Skin Eye Serum (Php11,100) because her main issue with her skin sensitivity is the skin near the eyes. She usually has adverse reactions to most products when it comes to the eye area, but she personally finds her eye area to be problematic because of her puffy eye bags. I am hoping that when she patch tests this one, it'll work on her. This has a gel formula that is light. It's also easy to spread so you will not risk tugging on the sensitive eye area skin. I personally had no issues trying it and it reaaally had no sting even when I had applied it very near my eyes. I hope that mom will really be able to use this. And weww even just on the first pump I could already see gold specks. I am personally more excited than her over this 24K Purifying Toner (Php3,700) because it's so fun to shake the bottle and see the gold flakes swim around hahaha. I was so excited when I saw that it comes in spray form because if it's ins pray form, then it means that it's more of a skin balancer than and astringent. There's no alcohol content to this one so it won't sting the eyes for that matter. This is also infused with aloe vera like the other products, and has cucumber and chamomile extracts perhaps to help calm the skin. There is also citric acid here, perhaps to aid in whitening. They also sent in their 24K Men's Hydrating Moisturizer (Php5,550) as an advanced Father's Day gift. Wow! Thank you! This is really different, as it has a more masculine smell. This is infused with Vitamin A, C and E, as well as Green Tea extract. This aims to be light and easily absorbable because we know that guys don't like using skincare in general because of the heavy feeling. Thank you so much again to Orogold for the gracious gifts!!! Napakanta generous naman po no ganda..